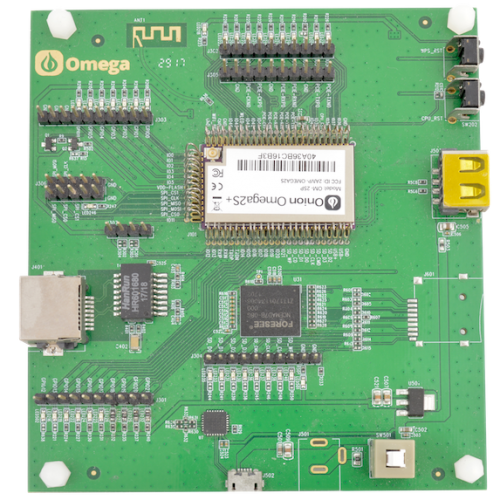 The Onion Omega2S IoT Computer Modules are designed for applications that require drop-in connectivity and computing. 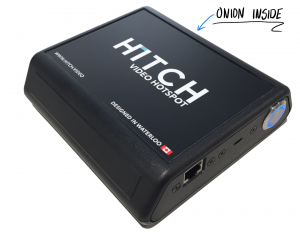 The 34x20x2.8 mm package features a CPU, memory, flash storage, and a WiFi radio. It runs a Linux Operating System and is FCC certified, making it a small but powerful solution for IoT devices. 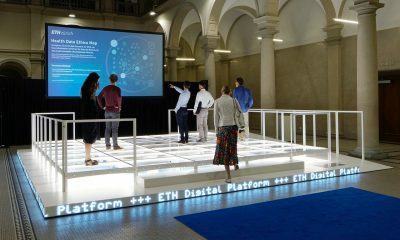 Rapid development and deployment of an interactive light platform & scrolling text display using 70 Omega2S-powered devices. How do I install NodeJS? 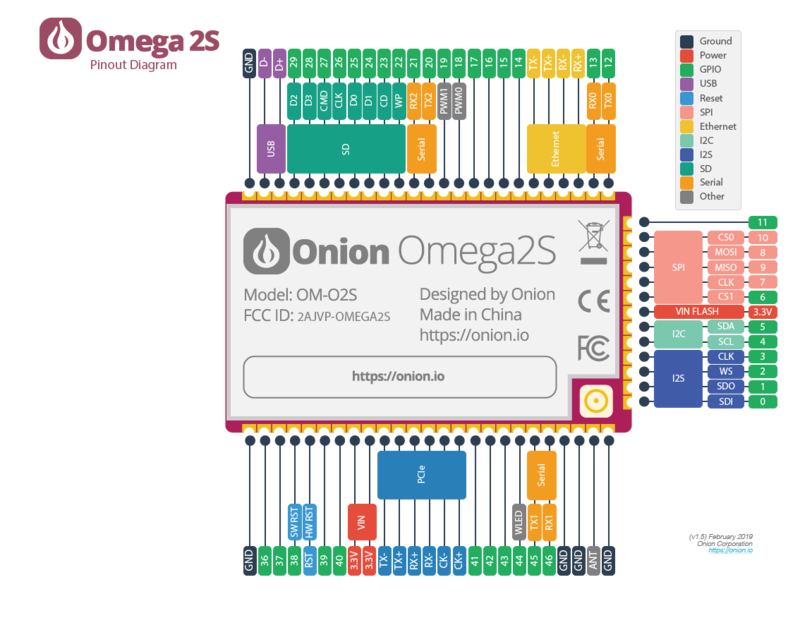 The minimum quantity required to purchase the Omega2S module directly from Onion is 250 units. For smaller quantities we recommend purchasing from our distributor Mouser.com for more cost effective shipping options. 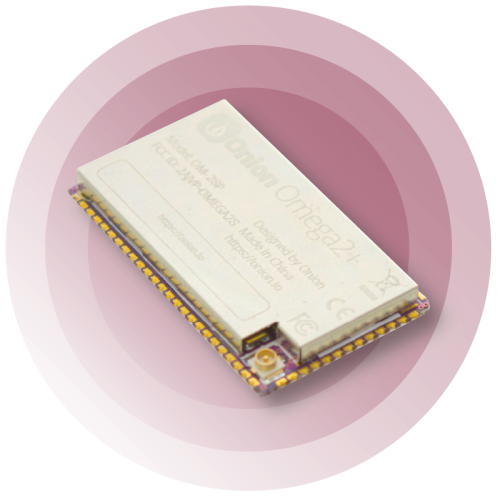 The normal lead time for Omega2S modules is 6 weeks. However, for orders within our inventory level, we will ship as soon as possible. How long will the Omega2S be supported? Is the Omega2S FCC, CE, and/or RoHS certified? Ready to scale your IoT products?